Product prices and availability are accurate as of 2019-04-17 17:18:12 BST and are subject to change. Any price and availability information displayed on http://www.amazon.co.uk/ at the time of purchase will apply to the purchase of this product. The oldest Laphroaig ever bottled as an individual vintage with just 300 bottles produced which were sold exclusively via Oddbins. 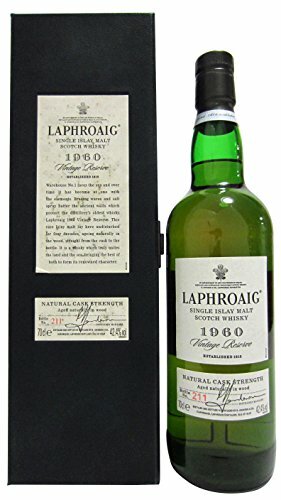 Fast becoming one of the holy grails for Laphroaig collectors and investors alike.